Champaign County has a skilled, trained and available workforce. These are the benefits your company can expect and need for your business success. Champaign County is centrally located between Dayton and Columbus, OH and within the West Central Ohio region. Your business will be able to take advantage of the knowledge, work ethic, and productivity of the nearly 350,000 workers in this region. Ohio Means Jobs offers free job postings and a variety of business training tools to support targeted workforce continuing education. The Ohio business community can take advantage of several free and financial assistance opportunities designed to stimulate the availability of educated labor to serve industry-specific needs. An eclectic mix of hometown independent businesses and national brands have found success in Champaign County. As valued businesses, we look forward to sharing with you the current issue of Retail Minded Magazine. • Insight on customer personas... including yours! For more tools to help you achieve success, please visit RetailMinded.com. 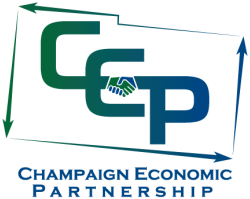 Resources are available to businesses through the Champaign Economic Partnership, Champaign County Chamber of Commerce, or local, regional and state resources. Visit our Business Resources page for a sampling of these resources and their contact information. Marketing and Advertising is one of the most important aspects of having a business and we can help you with that as well! Ask us about a website, social media, newsletters, networking events, Chamber of Commerce events, event sponsorships and more! We can also make B2B connections and connect you with experts to help you market your business!